None shall be left behind. 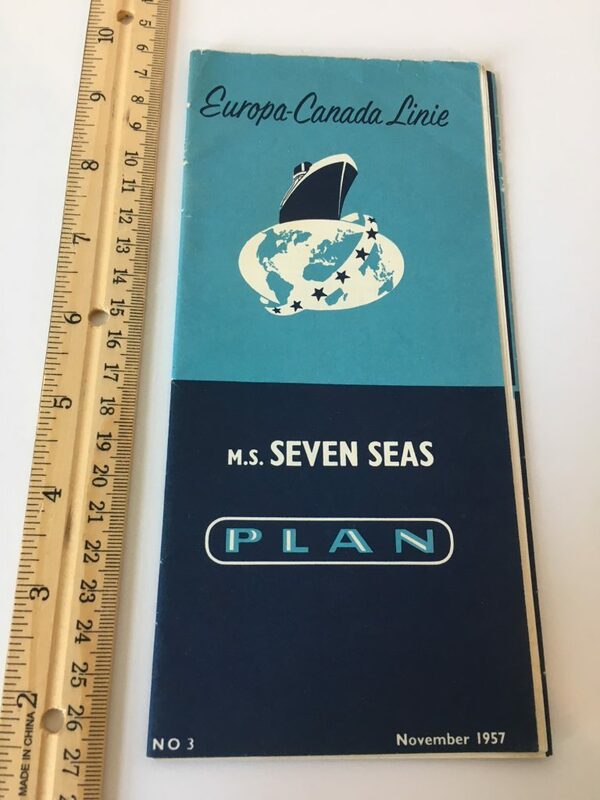 Europe Canada Line: MV Seven Seas Dec Plan November 1957. 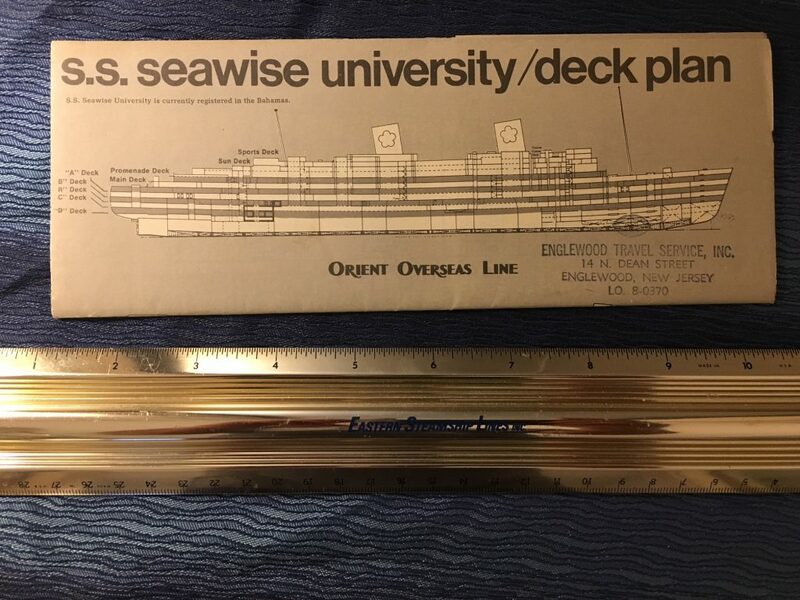 Super nice little deck plan for the MV Seven Seas. 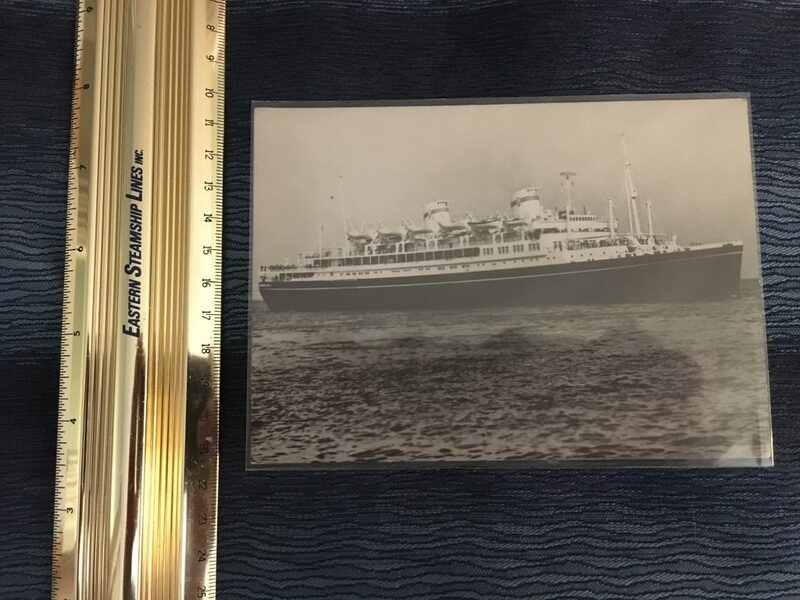 The little lady carried thousands to Canada in economy after WW2 … Includes nice pictures and deck profile. 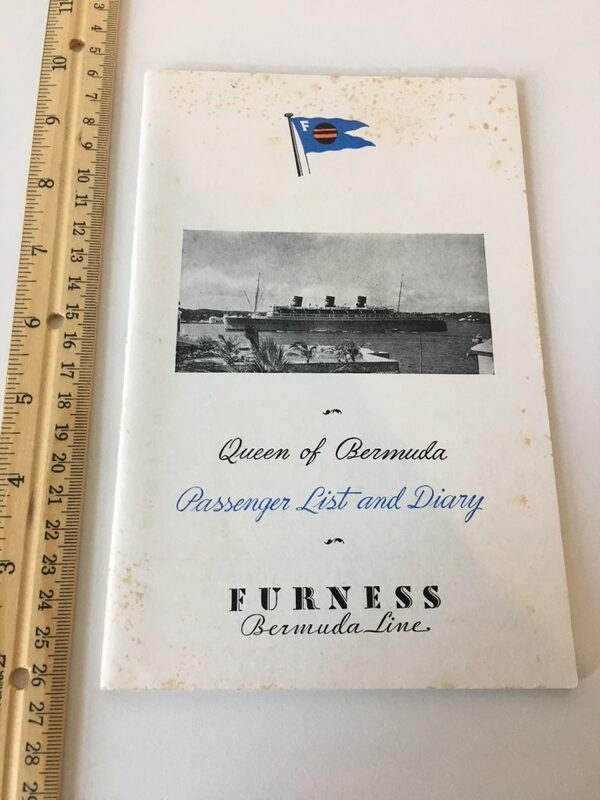 Furness Bermuda Line: Queen of Bermuda PL September 16th 1950. 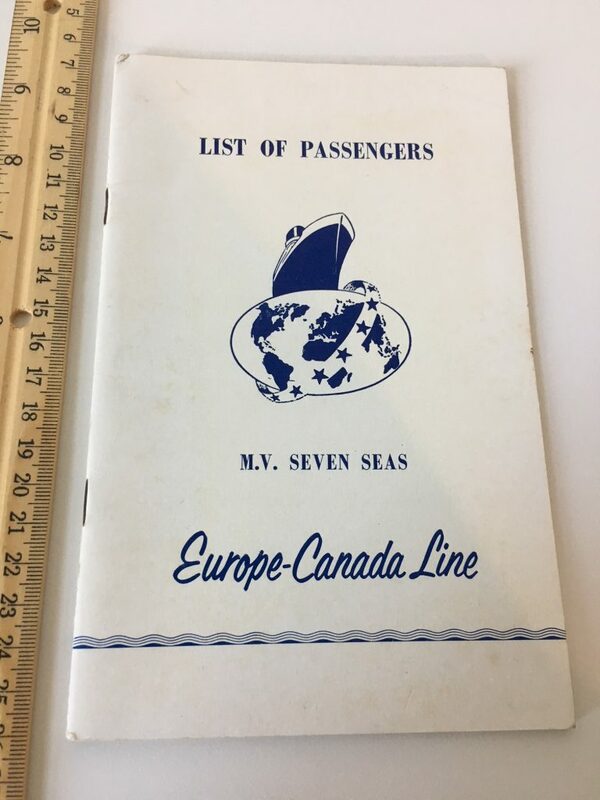 Nice passenger list for the ships trip to Bermuda. Nice condition with a little yellowing to the edges. 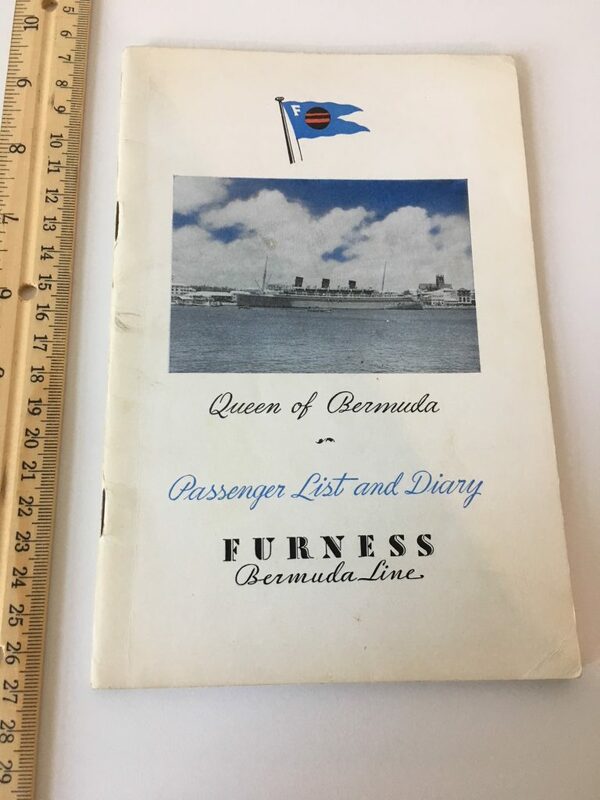 Furness Bermuda Line: Queen of Bermuda PL September 17th 1949. 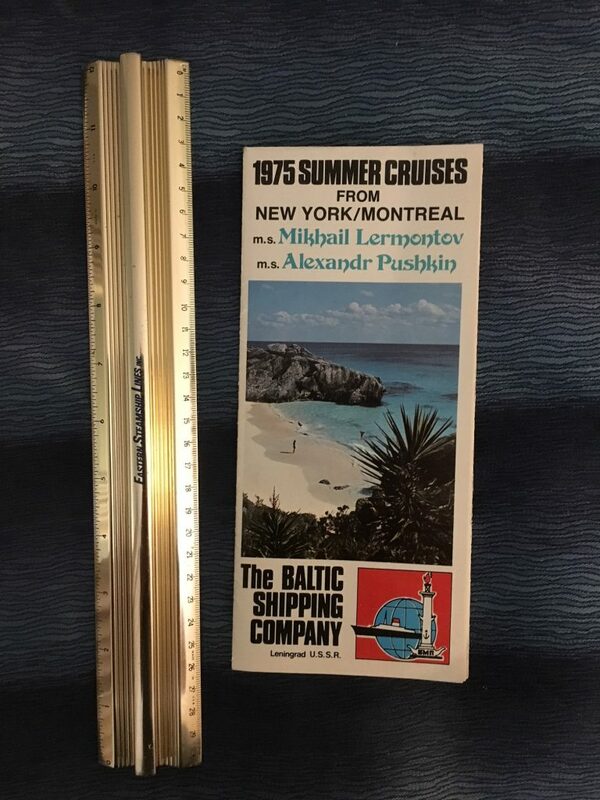 Nice passenger list for the ships trip to Bermuda. Captain Dunford was at the helm. A little spotting to the cover. 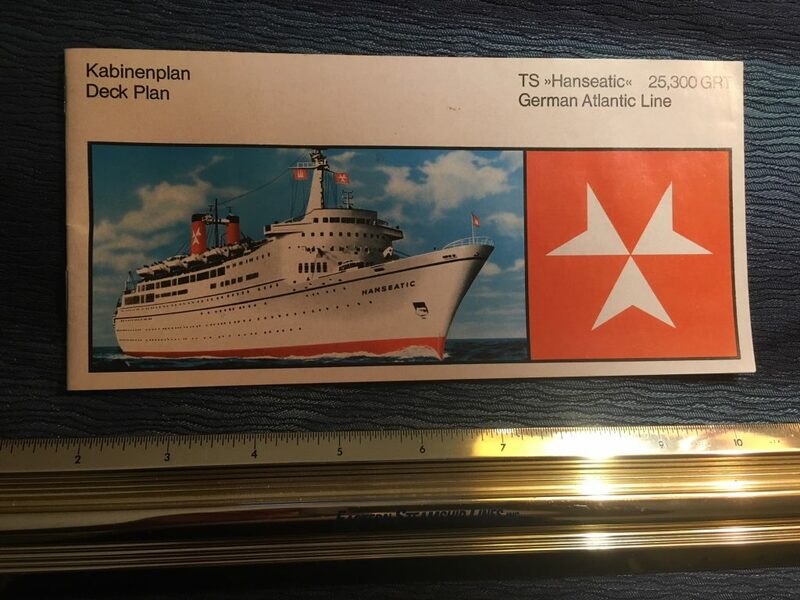 German Atlantic sure did nice deck plans in the later 1960’s and early 70’s. 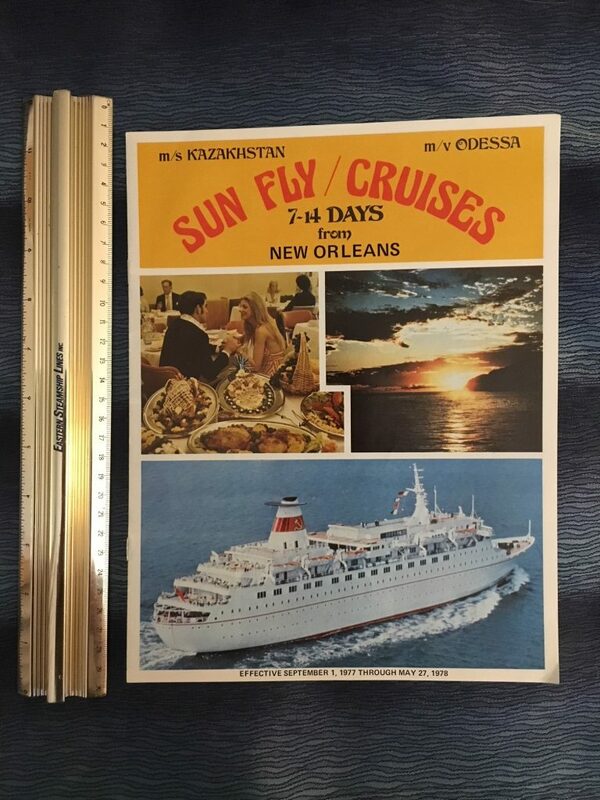 there are in color and include various onboard photos. 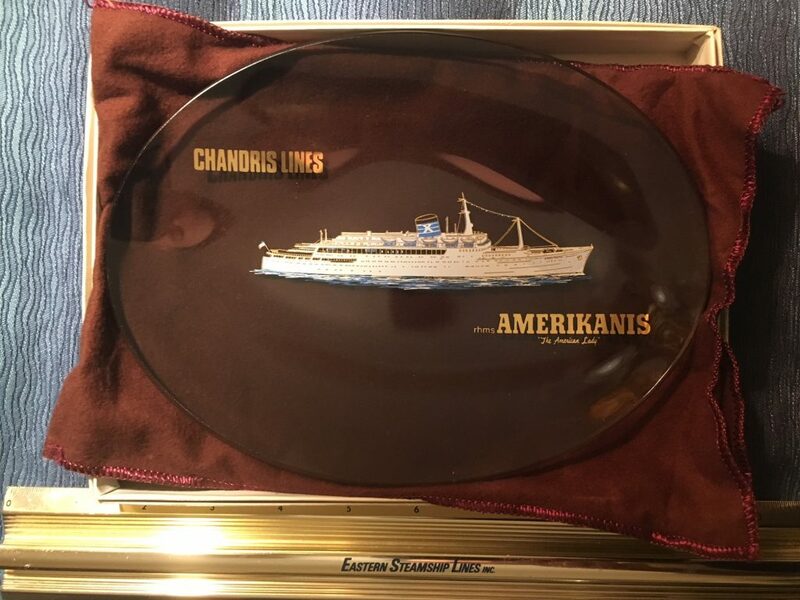 Excellent souvenir portrait smoked glass tray for the lovely “American lady”. 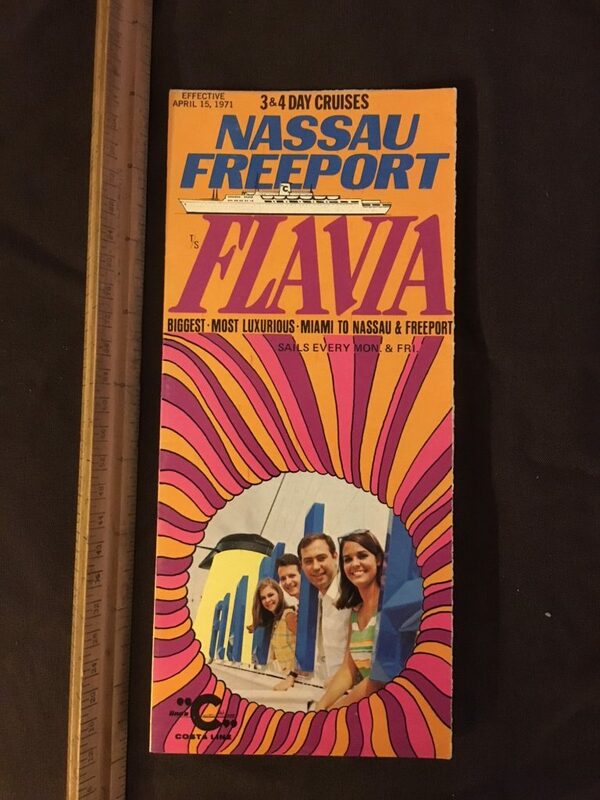 This is in perfect condition still wrapped in a velvet pocket and in its original box. 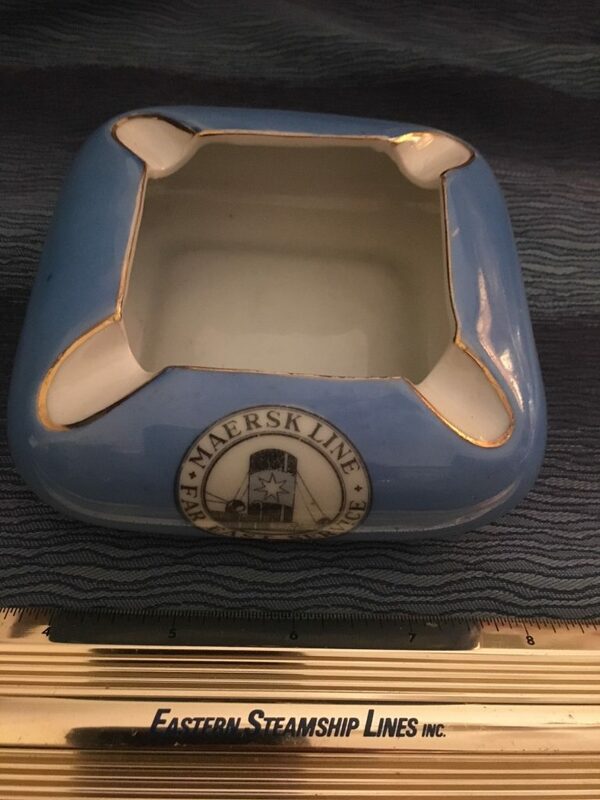 Just lovely … could have been a onboard gift to a distinct passenger. 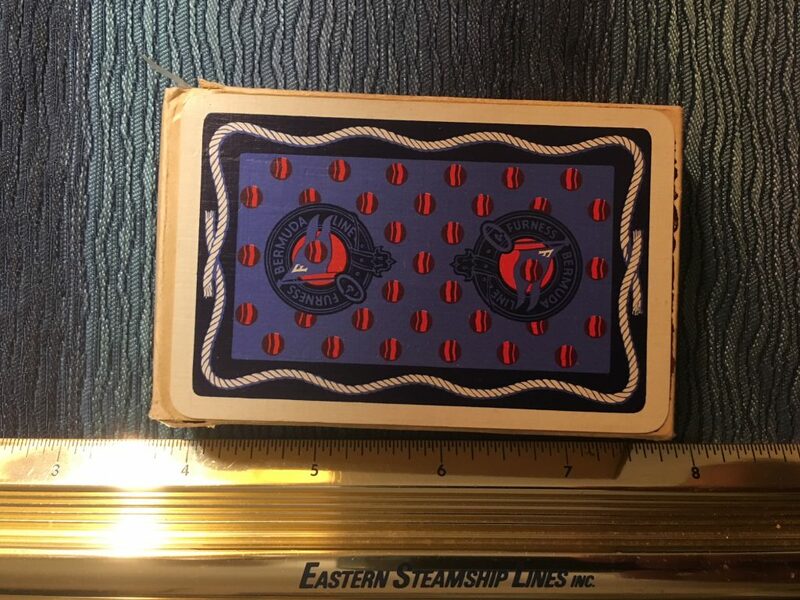 Excellent set of never opened cards for the Furness Bermuda Line. Still banded with wax paper. 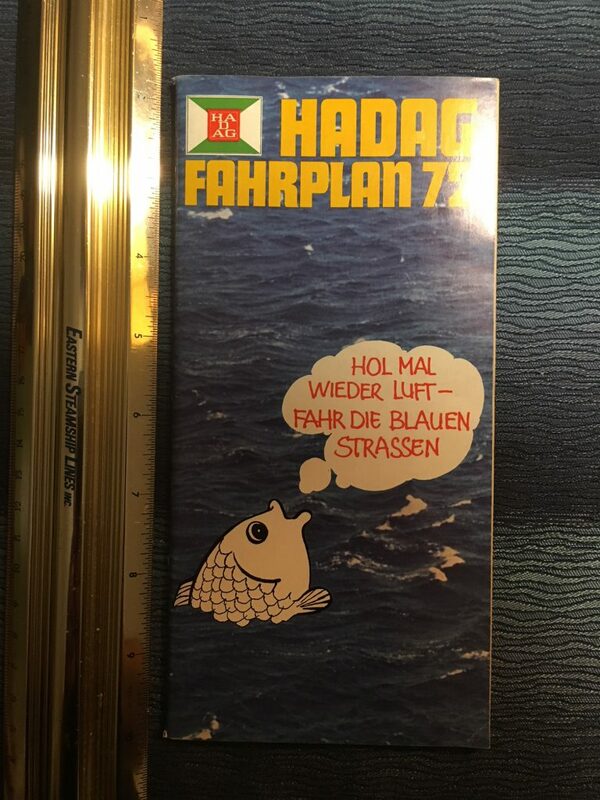 1972 90+ page Fahrplan for the German ferry services . Nice photos and adverts. 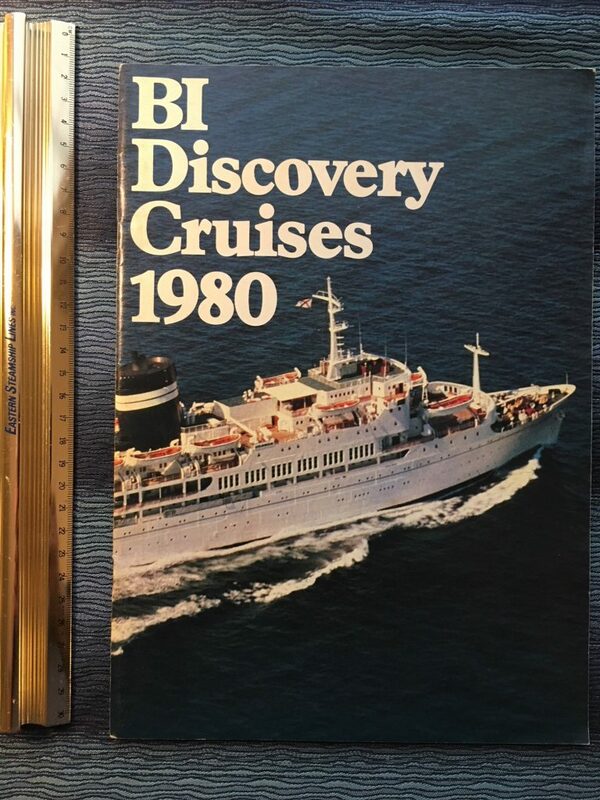 Great larger size color brochure for the Uganda’s Discovery Cruises dated 1980. Lots of photos and plans. 2 years later she would be called up to help in the Falkland Island Crisis. 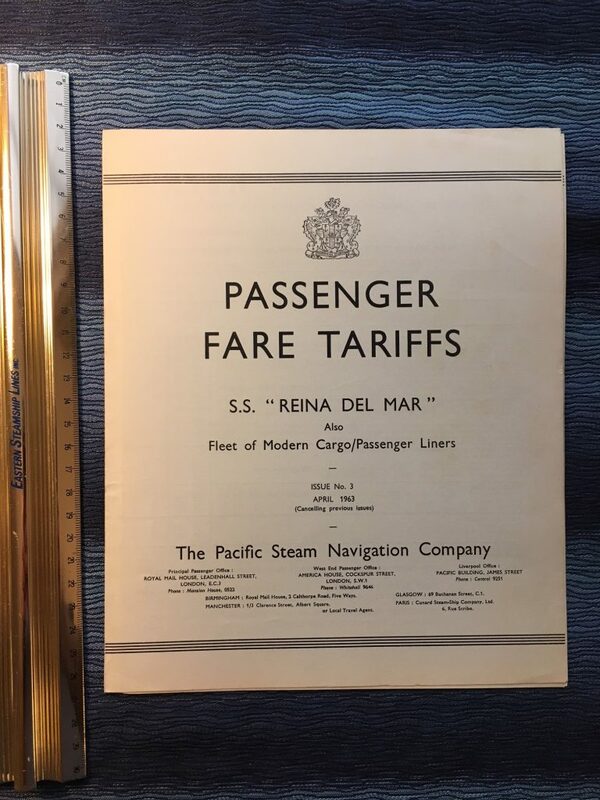 Nice tariff schedule for the Renia Del Mar and dated April 1963 …. several stops were cancelled … she would be sold to Union Castle in the near future. 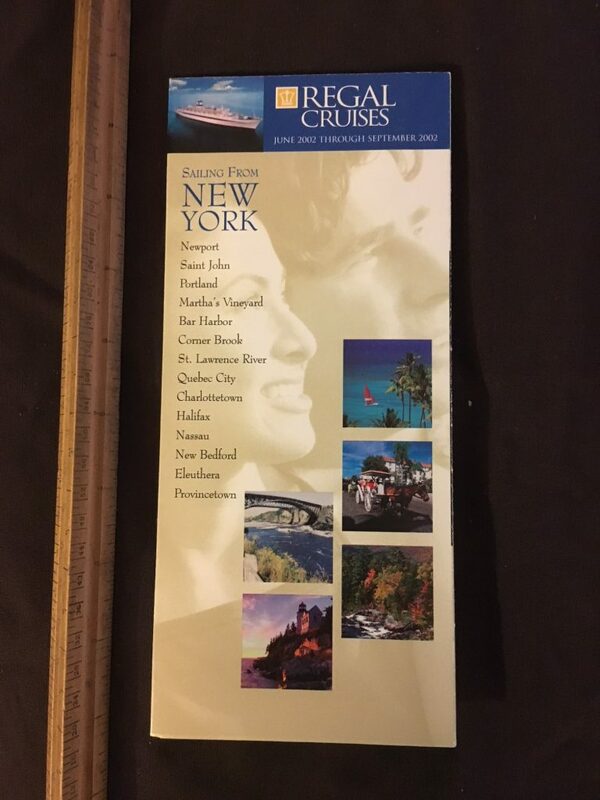 Regal Cruises: Regal Empress 2002 folding Brochure. 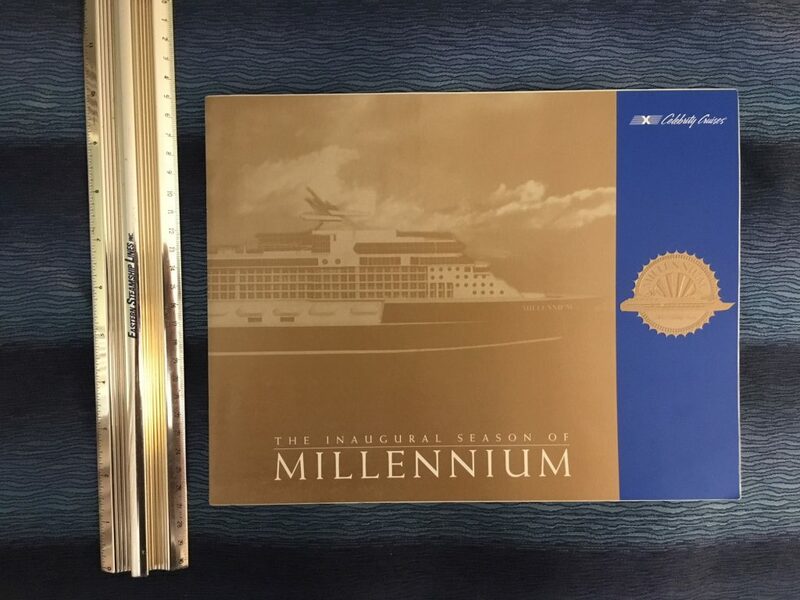 Lovely foldout for the Regal Empress … (ex Olympia) … highlighting the 2002 season from June to September. 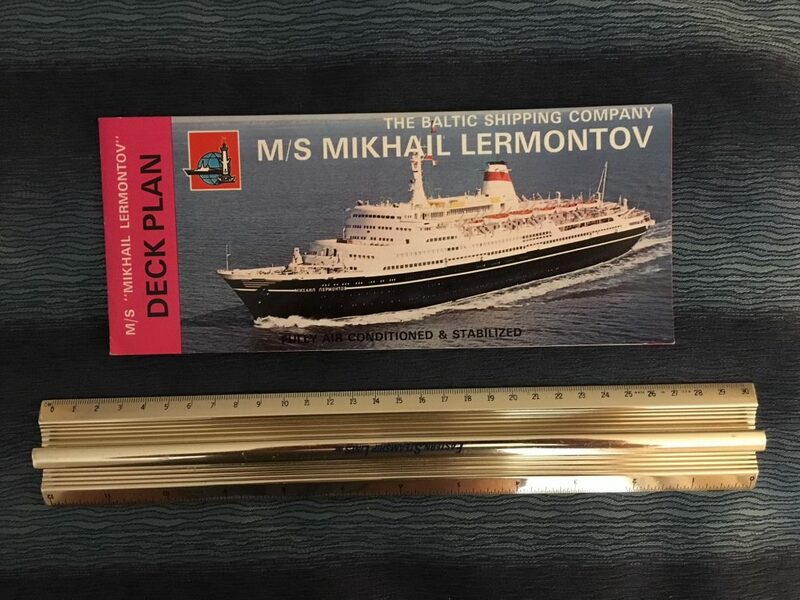 Super classic ship … she had most of her original wood fittings until she was scrapped. Like New condition. 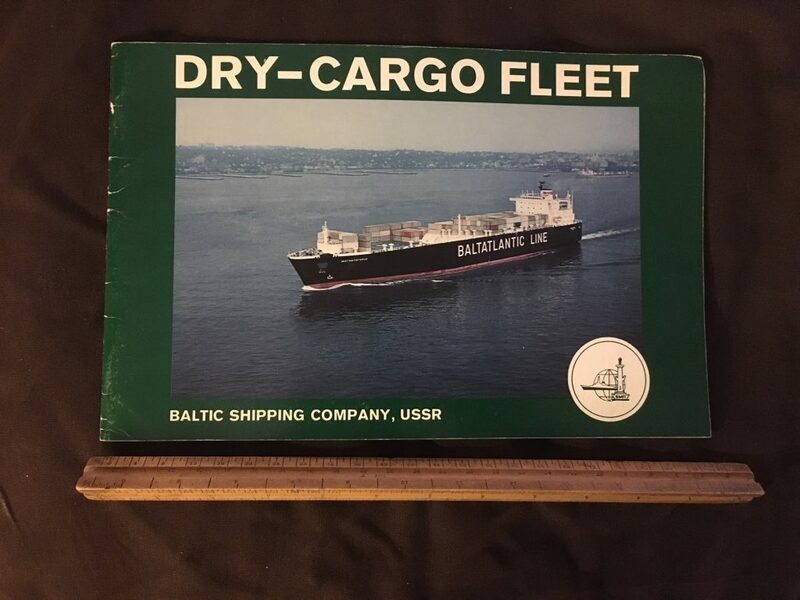 Baltic Shipping: Dry Cargo Fleet Brochure. 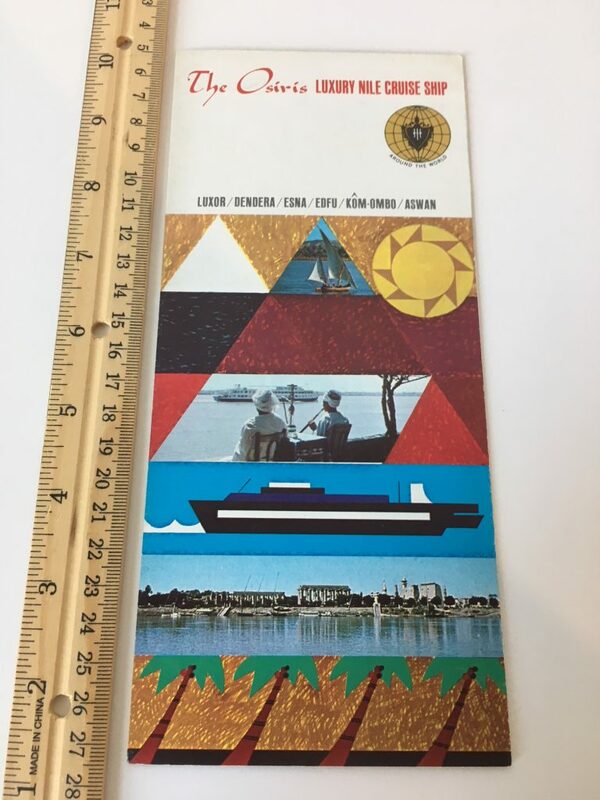 Interesting and rare brochure for the Russian Dry Cargo Fleet covering about 20 different vessels ranging is tonnage from 3000t to 20000t. 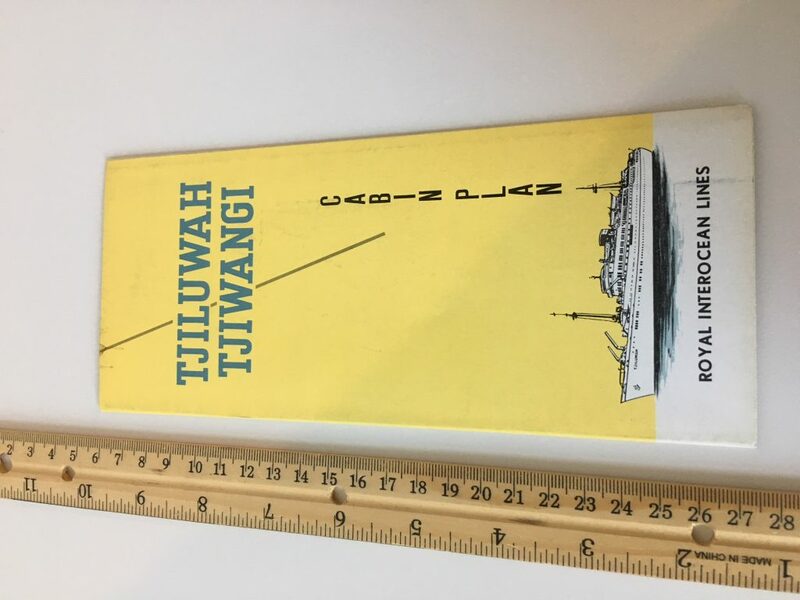 Includes nice line drawings and vital statistics. Great condition with some minor corner edge wear. 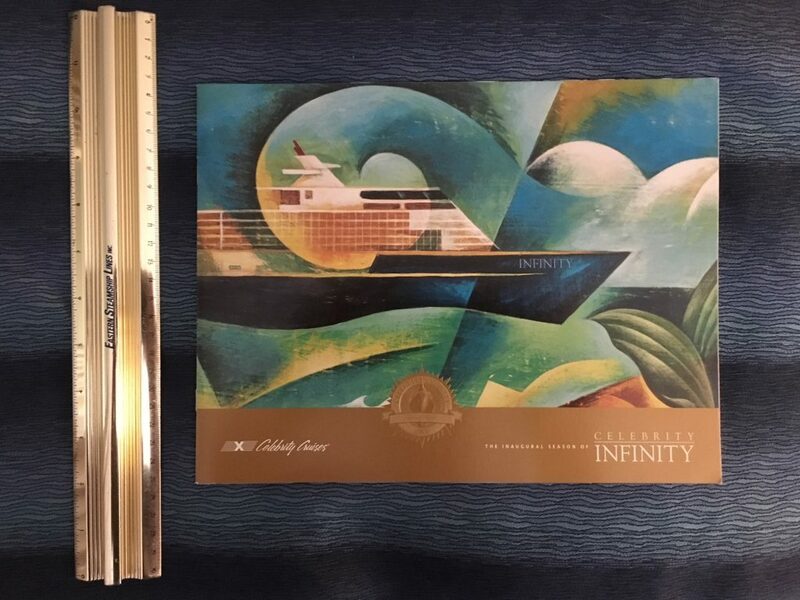 Costa Line: Flavia Brochure Deck plan 1971. 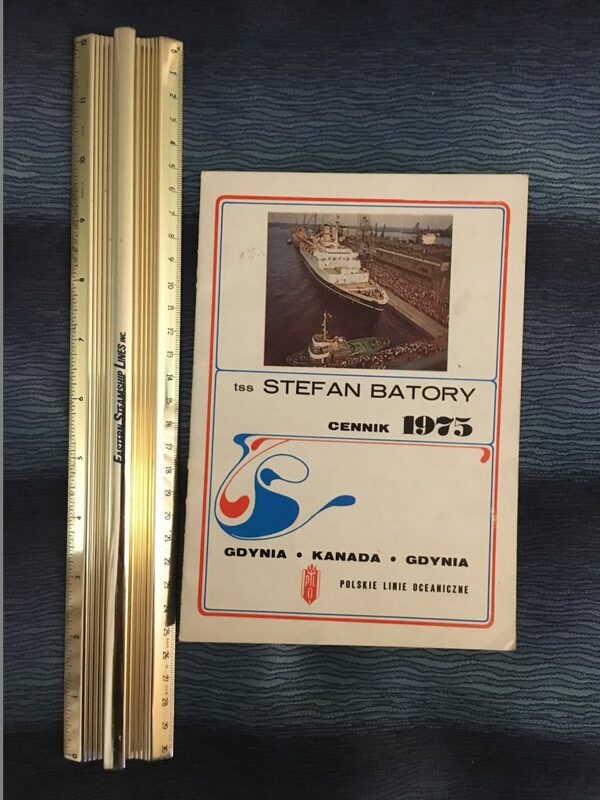 Lovely postcard for the Polish flagship. She survived WW2 and sailed into the 1960’s. 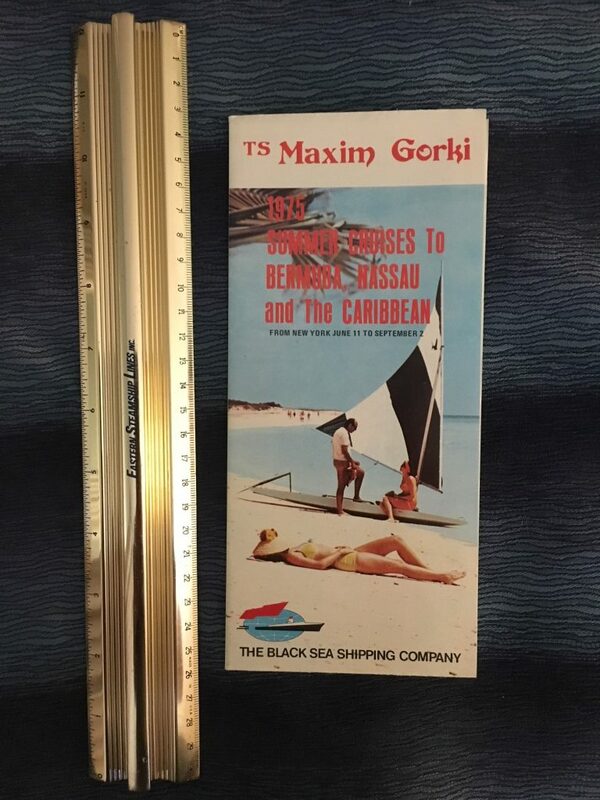 In excellent condition and ships in a protective sleeve.